Simple and modern, Lift is a new multi-purpose bike hook that can be used for so much more than hanging your wheels. The smart storage system is strong enough to stow your bike and accessible enough to store everyday items. 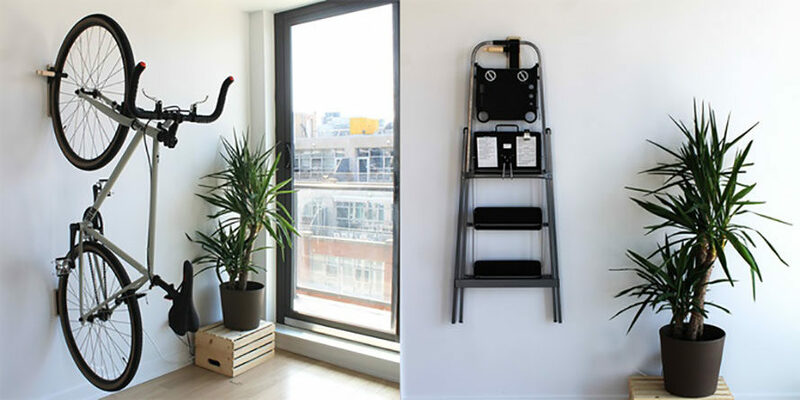 Its notched wooden dowel makes it easy to hang a bag, jacket or scarf, while the durable powder-coated steel arm does the heavy lifting for bikes or ladders. A CNC-milled baltic birch base secures it snugly to the wall and the final product is topped with ethically-sourced synthetic leather. You can check out this beautifully made, handy design on Kickstarter.